Asus announced the launch of the new ROG Bezel-free kit at CES 2018. This kit allows users to eliminate gaps among multi display setups, creating a seamless experience for gamers. 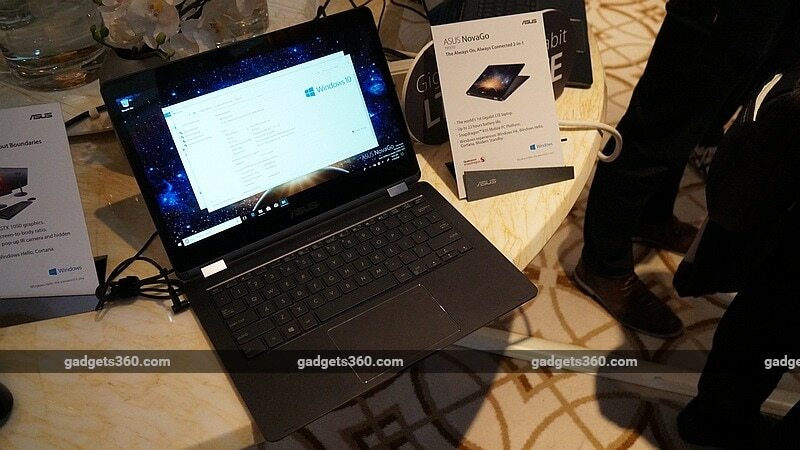 The company also launched several other products including the new ZenBook 13, a premium Asus X507 notebook, a couple AiO PCs, two mini PCs, a Chromebox, a tinker board, two new Wi-Fi systems under the Lyra brand, a premium dual-band router, Asus NovaGo laptop, the ZenFone Max Plus (M1), an ROG laptop, and an ROG desktop. The Asus ROG Bezel-free kit is an accessory for users who have a multi display setup connected to their systems. The kit enables users to create the illusion of one large, wraparound monitor that is made possible by using vertical lenses (made from PMMA, a type of transparent thermoplastic) and mounts that connect to each monitor in the setup at a 130-degree angle. This bezel-free kit uses light refraction to create the seamless effect, thus utilising no external software or power to operate. It is aimed at improving field of view to enhance gameplay. 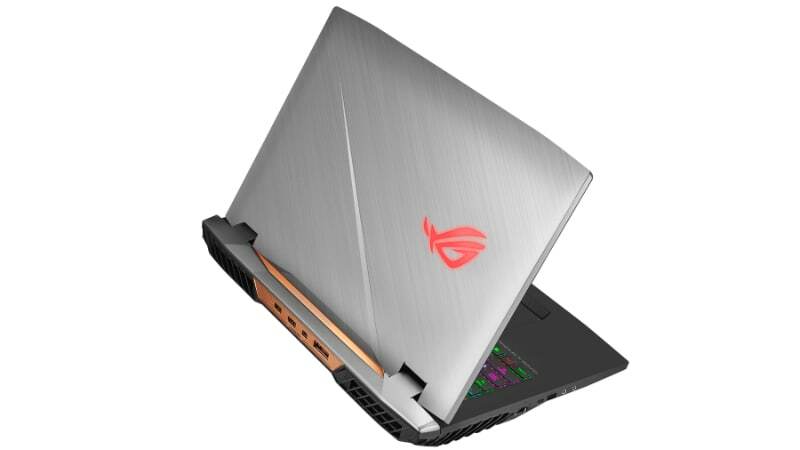 The ROG Strix SKT T1 Hero Edition is a limited edition gaming laptop from the Taiwanese giant. Developed as a result of a collaboration between ROG and e-sports team SK telecom T1, this gaming laptop features the SK telecom T1 team and ROG logos on the cover. A signature of Faker, one of the most reputed League of Legends players, is printed on the bottom right corner of the keyboard palm rest. It has pre-installed Windows 10 Home. The laptop sports a 15.6-inch full-HD (1080×1920 pixels) LED backlit display with a wide-viewing angle of 178-degrees, a refresh rate of 120Hz, and and anti-glare panel. The Strix SKT T1 Hero Edition is powered by an Intel Core i7 7700HQ processor, coupled with Nvidia GeForce GTX 1060 graphics and 16GB of RAM. There is a 1TB 5400RPM hard drive and a 256GB Gen3X4 SSD drive. An illuminated chiclet keyboard is also present. Powering the internals is a 65Wh battery under the hood. Connectivity options include Wi-Fi 802.11ac, Bluetooth 4.1, a USB Type-C port, 4 USB 3.0 ports, an HDMI port, an audio jack, a mini Display Port, and an RJ45 jack. Weight of the laptop is 2.3 kg. It is based on Windows 10 Home. The ROG Strix GL12 is Asus’ latest gaming desktop launched at CES 2018. The flagship model from this desktop range comes with some premium internals including an 8th generation Intel Core i7 8700/ 8700K processor (up to 4.8GHz hexa-core), coupled with the Nvidia GeForce GTX 1080 graphics and 8GB RAM (up to 64GB). It features a 1TB 7200RPM hard drive (expandable up to 2TB), a 256GB SSD (up to 512GB) drive, and a 128GB SSD (up to 512GB) drive. It has pre-installed Windows 10 Home. Front I/O ports include a 2-in-1 card reader, two USB 2.0 ports, two USB 3.1 Gen 1 ports, and a 1 microphone port. Back I/ O ports include two USB 2.0 ports, 2 USB 3.1 Gen 2 ports, 4 USB 3.1 Gen 1 ports, 5 audio jacks, 1 RJ45 LAN, and 1 PDIF out. Two powers adapters – 500W and 300W – are also provided with the desktop. It weighs 11kg and comes with accessories such as a keyboard, mouse, and power cord, alongside antivirus software. The Asus ROG G703 sports a 17.3-inch UHD (2160×3840 pixels) anti-glare display with a 178-degree wide viewing angle. It is powered by 7th generation Intel Core i7 chips (overclocked up to 4.3GHz), coupled with Nvidia GeForce GTX 1080 graphics and up to 64GB RAM. There are three SSDs (512GB, 512GB, and 256GB) and one hard drive (1TB at 7200RPM). The laptop features an illuminated chiclet keyboard and an HD web camera. Connectivity options include Bluetooth 4.2, Wi-Fi 802.11ac, 4 USB 3.0 ports, 1 HDMI port, 1 USB Type-C port. There is a 74Wh 8-cell battery under the hood. The ROG G703 is a VR ready laptop and has a weight of 4.7 kg. It has pre-installed Windows 10 Home/ Windows 10 Pro. 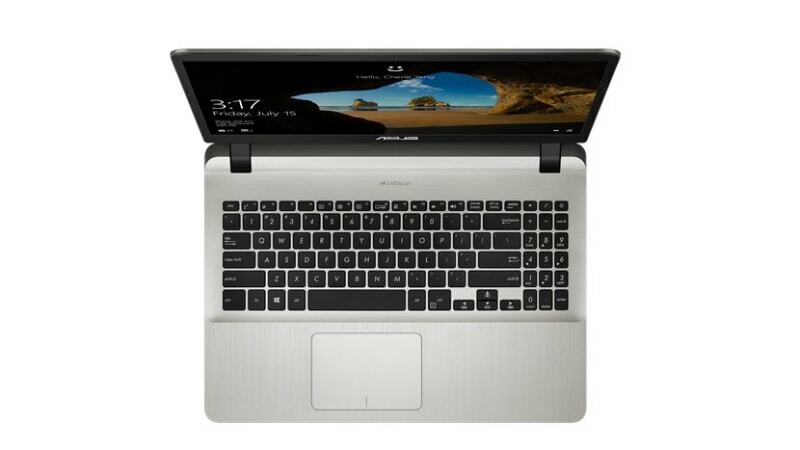 The Asus ZenBook 13 (UX331UAL) is an ultraportable laptop from Asus with a weight of 985 grams and a claimed battery life of 15 hours. The laptop is powered by an 8th generation Intel Core i7 processor, coupled with 16GB of RAM. Additionally, there is a 1TB solid state drive. The ZenBook 13 features Harman Kardon audio system and pre-installed Windows 10. 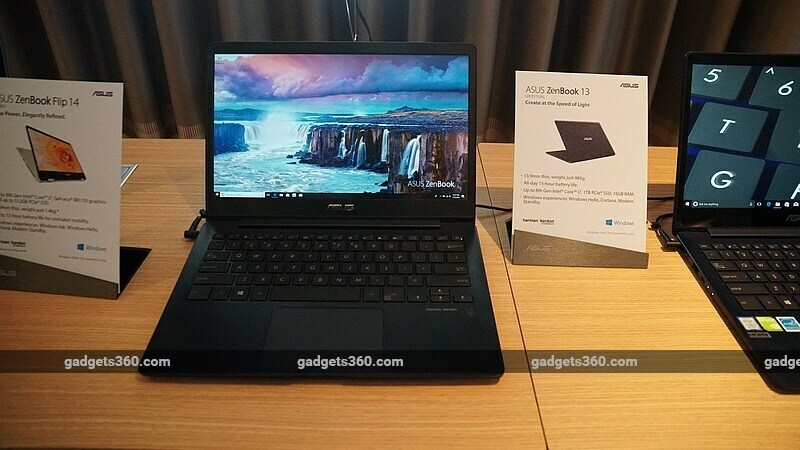 The Asus X507 laptop has a full-HD (1080×1920 pixels) NanoEdge display. It is powered by a 7th generation Intel Core i7 processor, coupled with Nvidia GeForce MX110 graphics. It has pre-installed Windows 10 with Cortana support. The Vivo AiO V272 sports a 27-inch multitouch display with 178-degree wide viewing angle, 100 percent sRGB colour gamut, and Asus SonicMaster audio output for an immersive experience. It is powered by (up to) 8th generation Intel Core i7 processors, coupled with Nvidia GeForce MX150 graphics. The AiO has pre-installed Windows 10 with Cortana support. 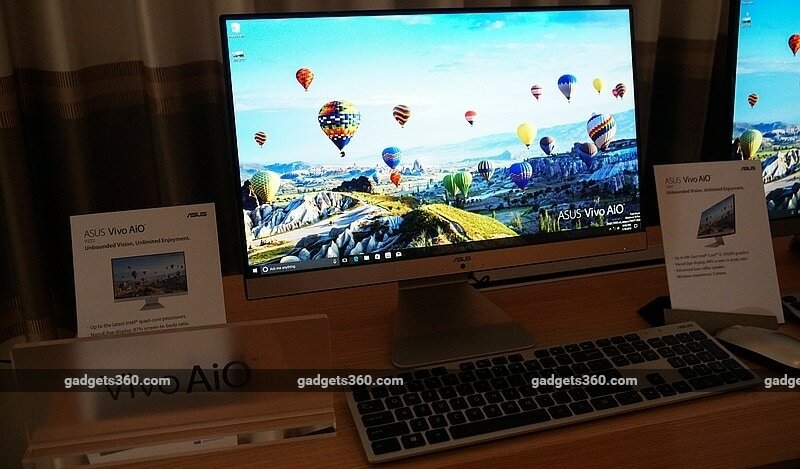 The Vivo AiO V222 is a lower-powered variant of the V272 and comes with a frameless 22-inch full-HD (1080×1920 pixels) display that has a 87 percent screen-to-body ratio. This AiO also integrates Asus SonicMaster audio technology. It comes with pre-installed Windows 10 and Cortana support. 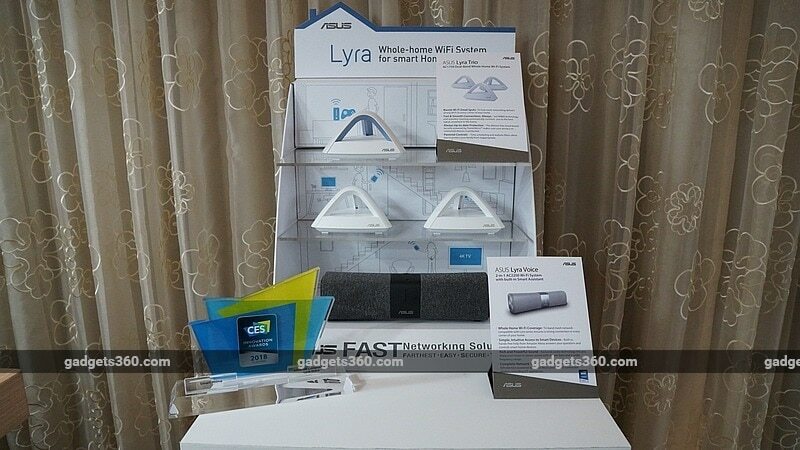 Asus announced two new Wi-Fi systems at CES 2018 – Lyra Voice and Lyra Trio. The Lyra Voice is a 2-in-1 802.11ac mesh Wi-Fi system and voice assistant that features integrated Amazon Alexa voice recognition. It uses a tri-band, AC2200-class device to communicate with Lyra hubs to eliminate Wi-Fi dead zones. Amazon Alexa can be activated by voice commands and be used for actions such as playing music, checking the weather, listening to the news among others. The Lyra Trio a dual-band, multi-hub mesh Wi-Fi system that features 3×3 MIMO technology to offer a seamless Wi-Fi connectivity experience in the entire premises. The Lyra mobile app can be used to control the two devices. 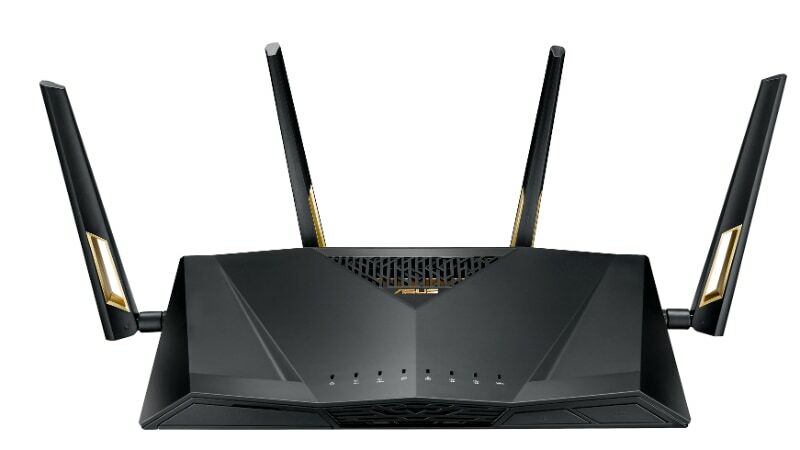 Yet another dual-band router from Asus, the RT-AX88U features Wi-Fi 802.11ax wireless standards for speeds up to 6000Mbps. Combining OFDMA and MU-MIMO technology, 802.11ax standards claim to offer up to 4 times better speeds compared to 802.11ac. This dual-band router utilises four antennas to help with a wider coverage, as seen on Asus’ earlier premium routers. The NovaGo is one of the world’s first Windows on Snapdragon laptops – announced by Microsoft late last year – and is powered by a Qualcomm Snapdragon 835 processor. The laptop runs Windows 10 S, with a free upgrade to Windows 10 Pro. It sports a 13.3-inch full-HD (1080×1920 pixels) LED backlit display with a 178-degree wide viewing angle and an 8.9mm bezel. RAM options include 4GB, 6GB, and 8GB, while storage options include 64GB, 128GB, and 256GB. Connectivity ports include 2 USB 3.1 ports, an audio jack, a Nano-SIM tray, a microSD card reader, an HDMI port, and a DC in port. There is a full-size non-backlit keyboard with 1.4mm key travel and a Precision Touchpad with an integrated fingerprint sensor. Asus claims up to 22 hours of battery life on the NovaGo. Weight of the laptop is 1.39 kg. 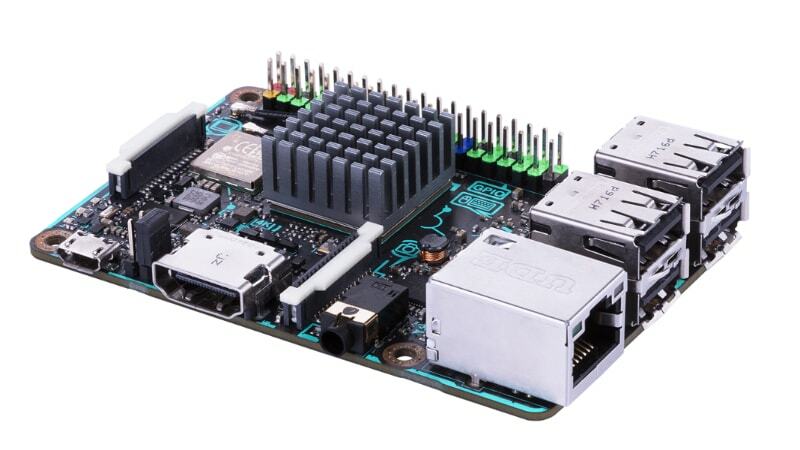 The company’s latest single-board computer, Tinker Board S borrows the board size and component placement from the original variant, while featuring 2GB of RAM and 16GB od storage. It is powered by a Rockchip quad-core RK 3288 processor with an integrated GPU. It has support for Wi-Fi and Bluetooth 4.0, and comes with four USB 2.0 ports. Weight of the device is 55 grams. The single-board computer has been priced at $79.99 (roughly Rs. 5,100), reports Lilliputing. 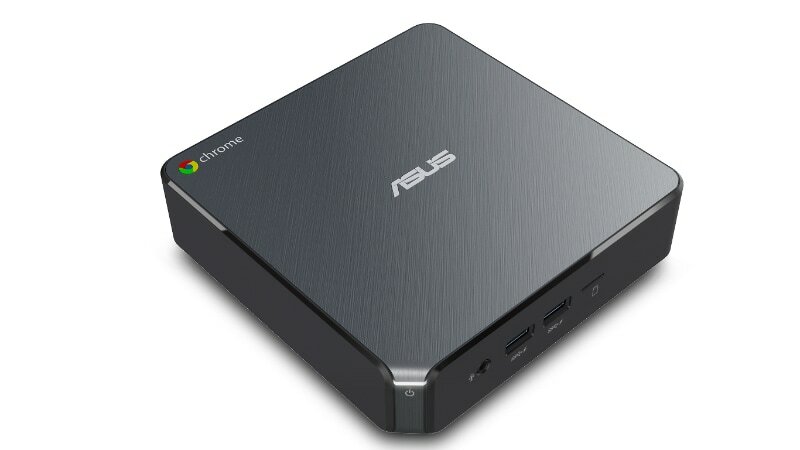 The latest Chromebox 3 comes with a USB Type-C port, a DisplayPort, and support for Google Play. 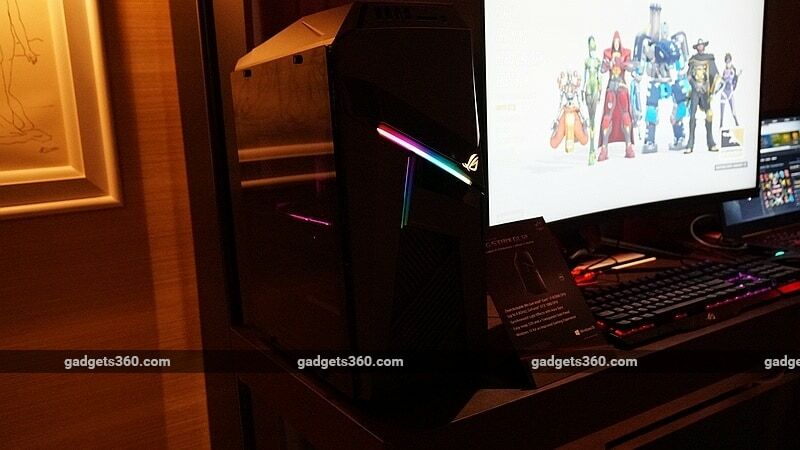 The device is powered by an 8th generation Intel Core processor, coupled with DDR4-2400 RAM. No further details are available as of now. The PB40 mini PC is the more powerful of the two and houses the 8th generation Intel Pentium Silver processors. The PB40 has a fanless design and supports optional stackable modules for various components to help save crucial space under the hood. 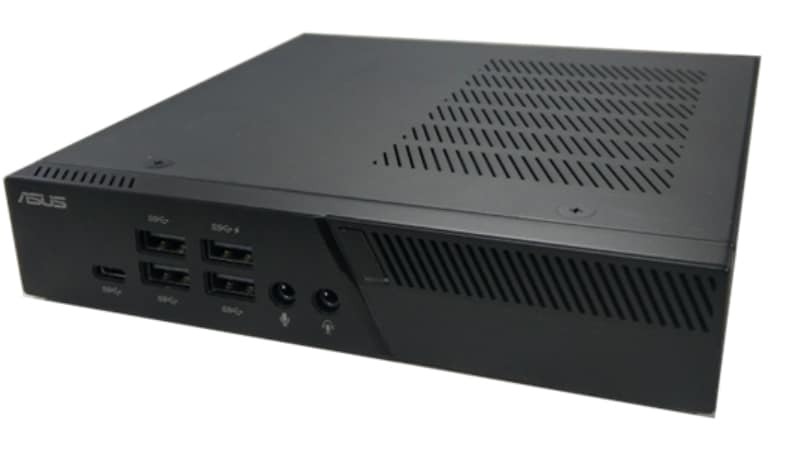 The PN40 mini PC is powered by 8th generation Intel Pentium Silver and Celeron processors. It also features a sliding bottom case and has a weight of 700 grams. It comes with connectivity ports including a USB Type-C port and a changeable I/ O port for VGA or COM support.